Gary Williams is a unique case. 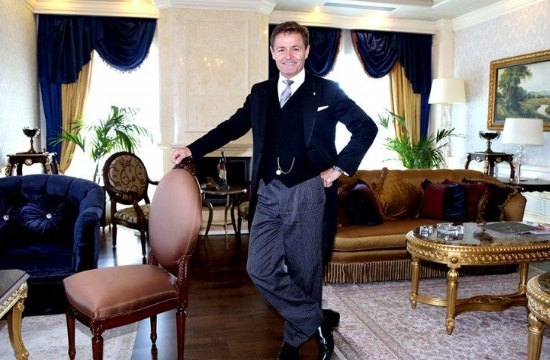 With a great career as a butler in luxury hotels, private households around the world, foreign missions in London, Gary was entrusted by The British Butler Institute* to head up the training team as Principal with the responsibility of making it the finest butler and service centre of excellence training school in its field. 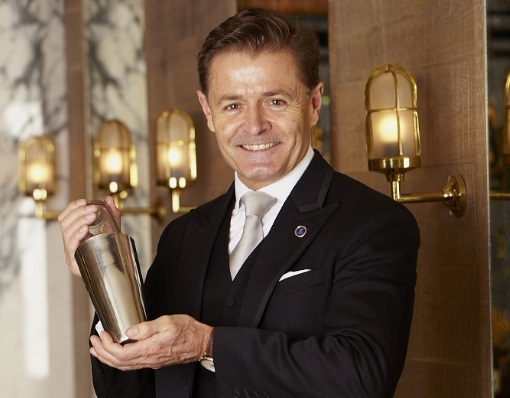 And, of course, he made a success of it, expanding The British Butler Institute brand worldwide working with partners from across the globe to train service excellence professionals to match the demand of discerning clients the world over. No stranger to Greece, Gary Williams has personally trained staff in various hotels and other fine establishments in luxury residential and hospitality markets. In this interview he tells us about Greek tourism & hospitality industry, his vision as a trainer and the amazing work of a modern day butler. In the tourism and hospitality industry we usually come across Brits as guests or travellers. But I understand that you are here in another capacity. What are you doing in Athens? You are right! Three million of us I understand visit your beautiful country every year. I’ve been invited back to do a follow up training at the British Embassy in Athens. I’m with the British Butler Institute and this is my third time with the Residence team. I’ve been informed that the British Residence in Athens throws the best diplomatic parties in Athens and ranks amongst the 3 busiest British Residences in the world! Obviously guests’ experiences have elevated but having said that we still need to work on a consistent basis to make sure we get higher and higher standards to match these experiences. You see, my job this time round is to give them the skills to match the expectations of the Ambassador and to surpass the expectations of the guests who come here. This is a refresher actually at the British Embassy’s request, to share with the Residence staff the latest trends in the hospitality industry and to add to their skills so they are able to deliver across the board in the areas of delivery that they are already doing. You’ve got a long and rich experience of tourism and hospitality industry models from around the world. How would you describe the Greek model, what would you say its strong points are and what are the challenges for the years ahead? The strong point of Greece is of course its position; the Greek islands, the beautiful beaches. Greece is got everything going for it in terms of its location and ease of access. And you’ve got mild weather almost all year round, so tourism sector is not a seasonal thing anymore. Visitors choose Greece for longer summer holidays but for city-breaks all year round as well. What I have noticed lately is that in fact Greece’s luxury sector seems to be expanding, there is a lot more luxury hotels coming into the market. Plus, one should not forget the huge yachting industry which is blooming with VIPs and celebrities flying out and taking off on a yacht to explore Greek islands. So you’re talking about high-end customers who expect high-end experience from start to finish and this goes beyond their hotel room or their breakfast. It means fine dining, luxury shopping, services. In this sense tourism industry in Greece is similar with tourism industries across the world: with luxury properties you need the skills. It’s all very well having a luxury property but, if you don’t have the staff to deliver the skills that the clients expect, it won’t really work. Especially when you are charging lots of money! So that’s really not unique to Greece, it’s a phenomenon we see across the world with countries that are experiencing blooms like Greece, - Mexico is such an example. How does your training contributes to the facility’s reputation and, ultimately, to the guest’s experience? You are right; it IS all about reputation and guest’s experience. BBI training and expertise covers all luxury tourism and hospitality sectors and goes across the board in a holistic approach. For some years now we have been providing training to customers’ service staff in places like CHANEL and Salvatore Ferragamo in Florence. We offer custom-made course for different establishments and different operations always on the same very high standards. 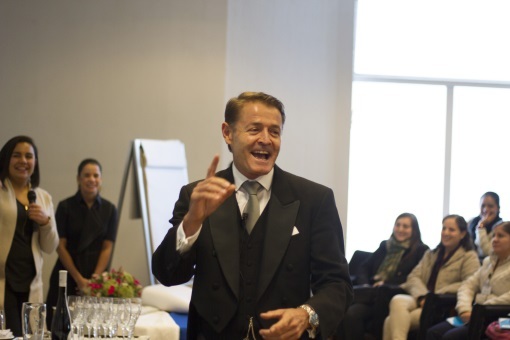 For example, we train staff for airport private executive lounges: in conjunction with IAM Jet Centers in the Caribbean we have just won 2 of the world’s prestigious awards, best business lounge in the world and the most friendly lounge in the world! So what we are doing? We have a real impact on the staff. We train the staff and as long as they are delivering what we train, this brings success. If you take countries like Mexico, we are increasing tips for the staff by at least 30%; in some cases even 200%! So what we are saying is whatever we train put it into practice. What is the role of a Butler today? How is it different depending on whether one works for a private household, a resort, a club, etc.? Why would someone choose to follow this career? The role of the butler today is multitasking! It depends on who you are working for! So if you are working for a principal that needs you to cook and drive you might be doing that. We are doing all the traditional services that the butler used to do, polish silver, fine dining, packing suitcases, and polishing shoes. We are doing all of that and much more as well. We are managing households, we are doing budgets, inventory controls, we are looking after pets, we are cooking, we are doing cocktails, we are coffee brewesters. Essentially whatever the principal needs we’ll try and have the skills to match that. So we become multiskilled! Essentially you are talking about a very exciting career, extremely hard work and very rewarding. You are highly paid, you work in beautiful locations, most times you’ve got a car, a house, all your food paid for, you are experiencing what the rich experience, however, you still need to be highly skilled, they need to trust you, you need to be properly trained and for the right person it is the most amazing, amazing career! The highest paid butler in the world is in Bell Air California and he puts $2, 2 million dollars in his pocket a year with everything else paid for. That’s the highest paid in the world but essentially it’s the most amazing job! No one really knows about the industry. People think the butler has died out a long ago but that’s not the case at all. It’s growing and in fact we can’t keep up with the growth which is quite amazing. So we have to turn people down! Of course we don’t want to turn people down but it’s just the nature of it. People want highly trained staff. So what would you say the mission of a butler is? Regardless of whether they work in a private household, restaurant, hotel etc. The core ingredient is that we’ve got to please whoever we are serving. And the only way we can do that is by consistency, anticipation, attention to the finest detail; listening and acting. So we teach those skills to be able to do that. Every client is different; they want different things; coffee at different times, turndowns at different times, different things so we’ve got to make sure we can understand the client and deliver all those services. What is the most rewarding part of the work as a trainer? I would say when you actually change people’s lives you see it happen! For example we have a wonderful Greek chap who came on our course in Venice, Stathis. When Stathis finished the course, he went to be the butler of the King and Queen of Greece. When I see that, that gives me a great joy! When I see people earning 100% more tips it gives me great joy! When I see people coming and saying ‘Gary I want to change my life, I don’t know anything about this industry but I want to work in it and get jobs’. It’s amazing! When you see staff that are juniors and then they move up the ranks very quickly it’s very very rewarding. When you see people come after the class and they say ‘Gary I’ve changed my life!! It’s amazing! If you look at our website we’ve had many many testimonials! We had a lady recently she didn’t know what to rely, she came on the course and I said ‘I’m gonna put you on a cruise liner as a butler! She said: that’s my dream!! !’ where is she today? She is a butler on Royal Caribbean cruise liners! This is what gives us great joy! What is the single most critical piece of advice you give to your students? 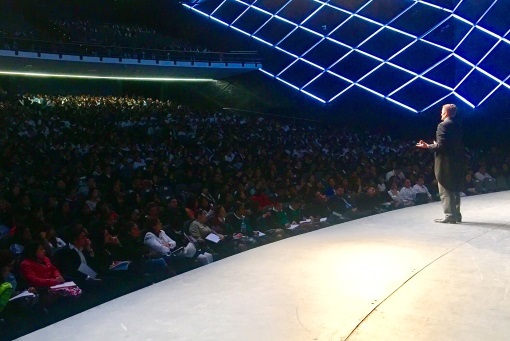 One of the most critical things is you must love this industry!